ICAR- Central Inland Fisheries Research Institute (CIFRI), Research Centre, Bangalore organized a five days National Fisheries Development Board (NBFD) sponsored, Training of Trainers programme on “Reservoir fisheries management for employment generation” at ICAR-NBAIR Auditorium, Hebbal from 27-31 August, 2018. The programme was conducted under the guidance of Dr. B. K. Das, Director, ICAR-CIFRI (Course Director), Dr. Preetha Panikkar, Principal Scientist and Officer In- charge, ICAR-CIFRI Research Centre, Bangalore (Course Coordinator). 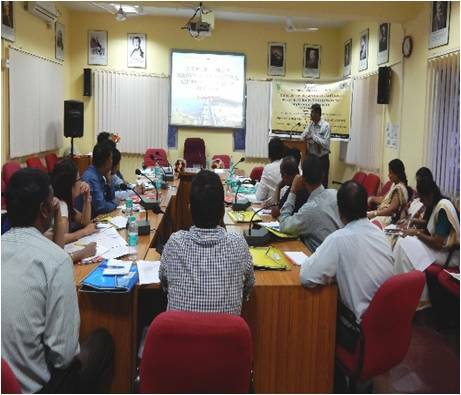 The programme was attended by officers from the fisheries department of five states viz. 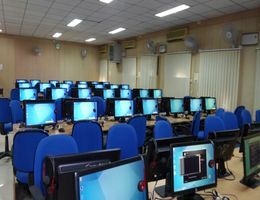 Andhra Pradesh, Jharkhand, Karnataka, Maharashtra, and Manipur. Dr. C. K. Murthy, Joint Director of Fisheries (retd), Department of Fisheries, Govt. 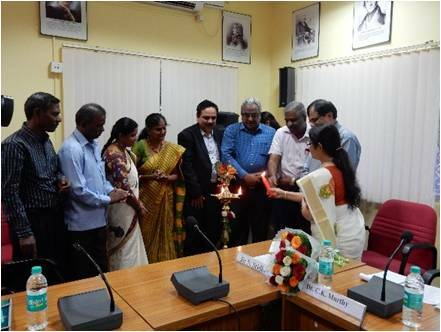 of Karnataka and Former Executive Director, NFDB, Hyderabad, inaugurated the programme by lighting the lamp. He emphasized that, the inland fisheries sector, particularly reservoirs has great potential in enhancing fish production and also, generating employment. He insisted on drafting suitable policies for sustainable development of reservoir fisheries. Dr. N. Sridhar, Principal Scientist & Scientist In Charge, Regional Research Center, ICAR-Central Institute of Freshwater Aquaculture, Bangalore spoke on the Techniques of Quality seed production and the importance of quality seeds availability for stocking the reservoirs. The training programme focused on generating employment through scientific management of reservoir fisheries, status, scope, challenges in reservoir fisheries, culture based fisheries, cage culture, species diversification and conservation in reservoirs. Enumeration of fishes using hydro-acoustics, electronic data acquisition system, physical and chemical indicators of water and sediment in reservoirs which are integral parts in managing the reservoir fisheries were also dealt with. A lecture on Reservoir Fisheries Development – Initiatives and Future Directions was delivered by Dr. C. K. Murthy. Dr. K. N. Prabhudeva, Professor & Head, Fisheries Research Information Centre, Bangalore delivered a talk on role of fisheries in rural development in India. Feed management in cage and pen culture to enhance fish production from reservoirs was presented by Dr.N.Sridhar. Dr. Hemaprasanth gave a lecture on fish diseases and health management. Mr. Ramakrishna, Joint Director of Fisheries (Inland), Karnataka narrated his experience on cage culture in K. R. Sagar reservoir. 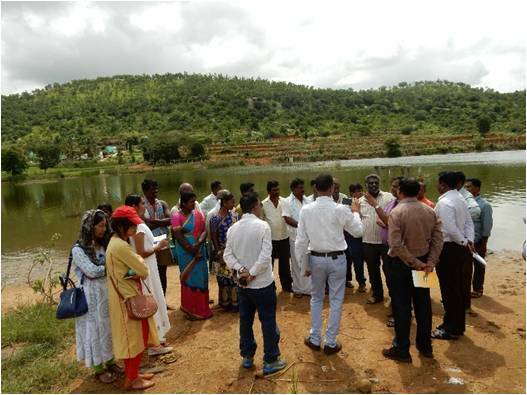 Field visit to Manchanbele reservoir was conducted on 29 th August 2018, as a part of the training programme to view the activities of a reservoir which is successfully managed through culture based fisheries. Visit was also made to Main research Station, University of Agricultural Sciences, Bangalore. Dr. B.V. Krishnamurthy, Chief Scientific Officer, Inland Fisheries, UAS spoke on employment avenues for reservoir fishers and he explained the activities of the research station on freshwater pearl culture, GIFT tilapia hatchery, ornamental fish culture unit and aquaponics. All the scientists of ICAR-CIFRI, Bangalore also delivered lectures on relevant topics related to reservoir fisheries management. Dr. Chandish R. Ballal, Director, ICAR-NBAIR, was the chief guest for the valedictory session. She emphasized that there is immense scope of employment for the youth in reservoir fisheries sector. Shri. Ramacharya, Joint Director of Fisheries (Marine), Karnataka addressed the audience during the session. The participants shared their feedback about the programme and expressed their interest in working together with ICAR-CIFRI for the betterment of fisherfolk as a whole and reservoir fishers in particular. Mr. M. Feroz Khan, Mr. M. Karthikeyan, Dr. Ajoy Saha, Mrs. Ramya. V. L, Mrs. Sibina Mol S. and Mrs. Jesna. 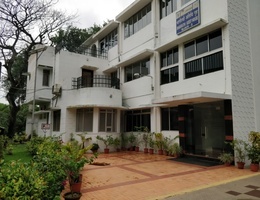 P. K., the Scientists of ICAR-CIFRI, Research Centre, Bangalore, along with Mr. Vijaykumar. M. E. (Tech. 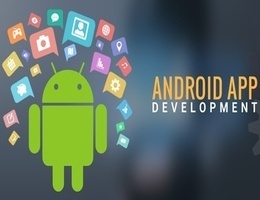 Asst.) actively participated for the successful conduct of the programme.